Hoang Su Phi rice is usually ripened later, usually in mid-October. 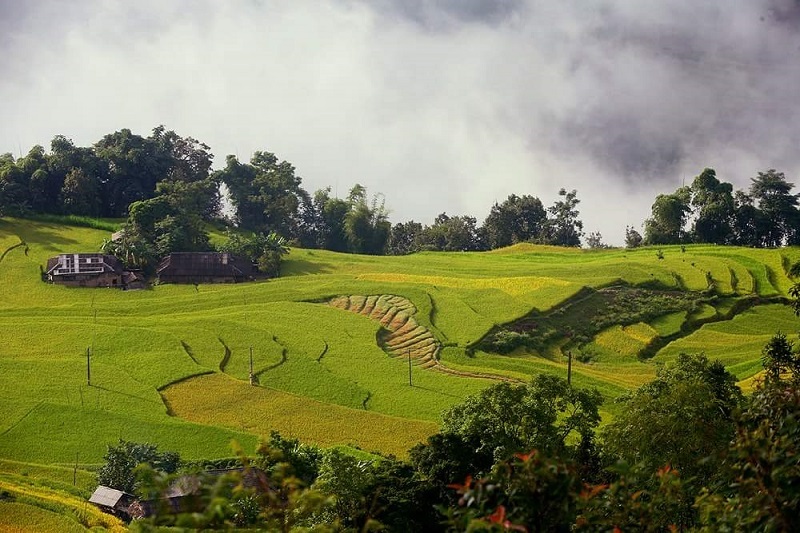 According to the call of adventure travel enthusiasts, Hoang Su Phi is the place to end the rice viewing arc of the whole northern highlands. Although not as famous as Y Ty, Mu Cang Chai rice, but not so that terraced fields here are less spectacular. 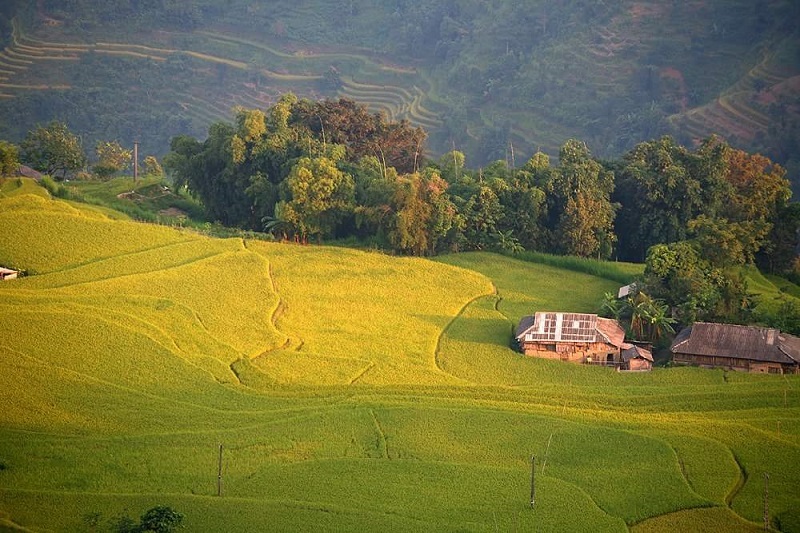 The Luoc village, Phung village, which has the highest terraced fields in the country, or the national scenic spot of Thong Nguyen and Nam Ty communes, is an interesting destination in Hoang Su Phi. Here are a few suggestions for visitors to easily visit the golden season in this Ha Giang highland. Every year after rice harvested in Mu Cang Chai is the golden time of terraced rice fields Hoang Su Phi. Depending on the area, the rice will ripen scattered within a month, but the most beautiful usually falls around the second week of October. Currently, Hoang Su Phi has a better road system than before, cars can go up to the place. But because the sights are not concentrated but evenly distributed throughout the district, it is most convenient if you ride a motorbike by mobility. Or from Hanoi to Ha Giang, you can catch a bus to Tan Quang town, then take the inter-district bus to Vinh Quang (the center of Hoang Su Phi district). If Vinh Quang is considered a circular center, the main attractions in Hoang Su Phi are within a radius of 30 - 40 km. Heaven Gate pass and Thong Nguyen and Nam Ty national monuments: Arriving at Tan Quang intersection, a path leading to Ha Giang city, the remaining road leads to Vinh Quang town. You will have to cross the Gate of Heaven to go to Thong Nguyen valley and then round Nam Ty to the center of town. As a national landscape with constant sharp bends from a dangerous pass, you will have the opportunity to admire the terrific terraced fields lie in the middle of the sky. Po Lo, Then Chu Phin, Luoc village, Phung village: are the most beautiful rice viewing places around Vinh Quang and Hoang Su Phi towns with a distance of about 20-30 km. If the Luoc village is home to the largest terraced fields in the country up to 200 ha, the Phung village gives a perfect view of the valley terraced fields. Xin Man, Bac Ha: put an entire arc, if you combine to visit Hoang Su Phi remember to visit these 2 major destinations. Visit the border at Xin Man border gate or the famous upland markets of Bac Ha (Lao Cai).